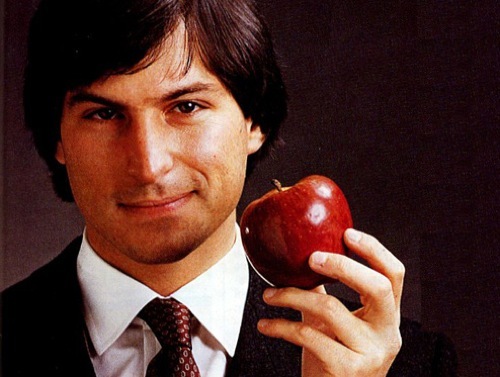 We all knew Steve Jobs was ill, but to still hear it, the news that the man behind Apple is no more, is still shocking. I think me and the rest of the world have been in denial since we first heard of his illness. He was just this supergenious to us and superheroes like that don’t die. I did not know him personally, but my first thought when I heard that he had died was this feeling of great loss. Loss for the world. Loss of one of the greatest innovators of our time. A huge vacuum. I cannot forsee who out there could fill that gap. That kind of passion he inspired in us was rare indeed. He made boring technology exciting. There was no one else who did that. It’s the same way I feel about the void left by Michael Jackson. I still can’t see that any entertainer today is of his calibre and genious. They were both so dedicated and I think that made all the difference. Steve was just 56 years old. That’s just too young and I can’t help but imagine how much else he could have contributed to the world, if illness had not taken him away. Of course I also feel very sad for his family – his wife and especially his children. They must be so proud of their dad and it must be such a painful and unbearable time for them. He was obviously fiercely protective of them. My very first computer in the 80’s was an Apple and now I’m sure most of the world can’t imagine life without iPods, iPads or iPhones. What I love about his latest innovation, Siri is that it will help the visually handicapped. I write this using my beautiful iMac which was the most amazing birthday present. 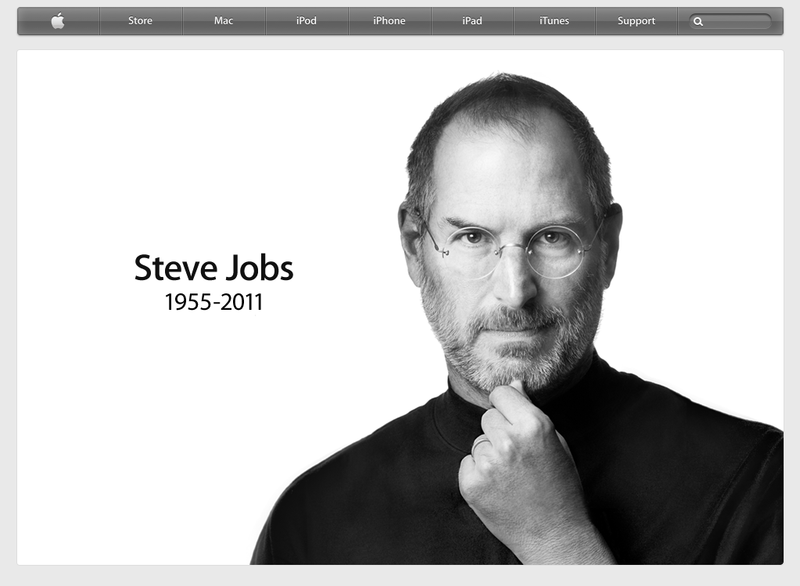 This is how the Apple website looks like right now – in tribute to Steve. Here’s another very simple and moving tribute by Karen, a blogger. This entry was posted in Culture & Society and tagged Apple, death, genious, loss, passing, Steve Jobs, Video, young. Bookmark the permalink. That commencement speech was just incredible…thanks for highlighting that very relevant quote 🙂 A sad day indeed. Although I’m typing this on a Mac, I think it was the iPod , of all of the Apple devices that made the most dramatic change in my life. The idea that I could store hundreds of cds in one small device still amazes me. For me the first major Apple product was the iPod as well 🙂 But I am so in love with the iMac…just can’t go back to a PC no more.